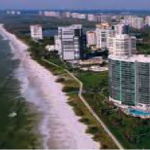 Park Shore high rise living offers an unmatched life style along Naples Gulf Coast, this is true with Allegro , a beachfront high-rise condominium complex along the pristine white sand beach. 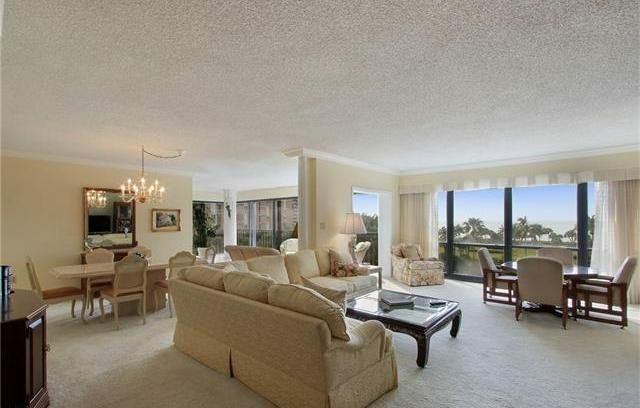 Constructed in 1981, this atrium style condo has 14 floors with 6 units every floor for a total of 76 units ranging in size from 1,770 to 2,500 square feet of living area, all have stunning views of the Gulf of Mexico and Venetian Bay. Take this opportunity to own this Park Shore high rises residence located at the fifth floor of Allegro. Every room has marble floors and carpeted partly, complemented by a 8’6 height of floor to ceiling windows with great view and stunning sunset. With 2,500 square feet living space, it has a lot of offering. Master bedroom has two walk-in closets, granite vanities and makeup niche. Two guest bedrooms have private bath with dual sink. Kitchen has breakfast area, pantry and built in cabinets, with kitchen appliances such as cooktop, dishwasher, dryer, microwave, refrigerator, ice maker, wall oven and washer. The room also features a foyer, walk-in closets, laundry tub and wet bar. You’ll enjoy a charming private terrace area right outside the front door of the unit as well as an additional storage unit. The Allegro has embarked on exterior renovations that will enhance this great building along with recently renovated community rooms and other amenities. 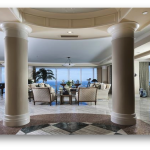 This gulf frontage high rise condo has full maintenance for cables, irrigation, water, lawn, pest control, facilities, security, trash removal and many more. Allegro residents enjoy amenities including 24 hour security, under building parking, pool and spa, fitness center, billiards room, library and more. Residents of Allegro are near to Venetian shops and restaurants which are just right across the street and 5th Avenue is a short drive away with its world class shopping and dining. 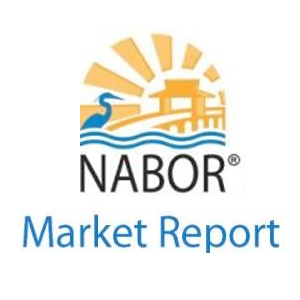 Homeowners of Park Shore high rises can purchase or lease a boat slip at the Venetian Bay Yacht Club and explore the back waters and the Gulf of Mexico. Park Shore community provides an unbeatable beach front lifestyle; the enjoyable and relaxing life, everyone dreamed about. 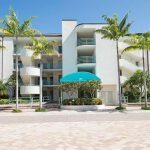 Park Shore is well known for its white sandy beaches and its impressive private Gulf side boardwalk ,expensive shopping and dining destination called Venetian Village. Park Shore offers single homes, high rises, low rises and condos between US 41 and the Gulf of Mexico. At Park Shore, guests can enjoy a number of amenities, including a private heated pool, outdoor Jacuzzi, cobblestone walkways, BBQ grills, racquetball courts, tennis courts, and movie theaters and games rentals. The community of Park Shore provides an exceptional beach front lifestyle. You can relax in the comfort of your contemporary suite, and enjoy tropical views from your private balcony or lanai. At the beach you can enjoy fresh seafood and tropic cocktails, take pleasure in beach activities like boating, skiing or go for site seeing trip to the gulf or to the bay. Owning a Park Shore high rise residence will give you all the opportunity to enjoy the luxury and great tropical scene of Park Shore, Naples.